In this, the 12th edition of Enjoy! 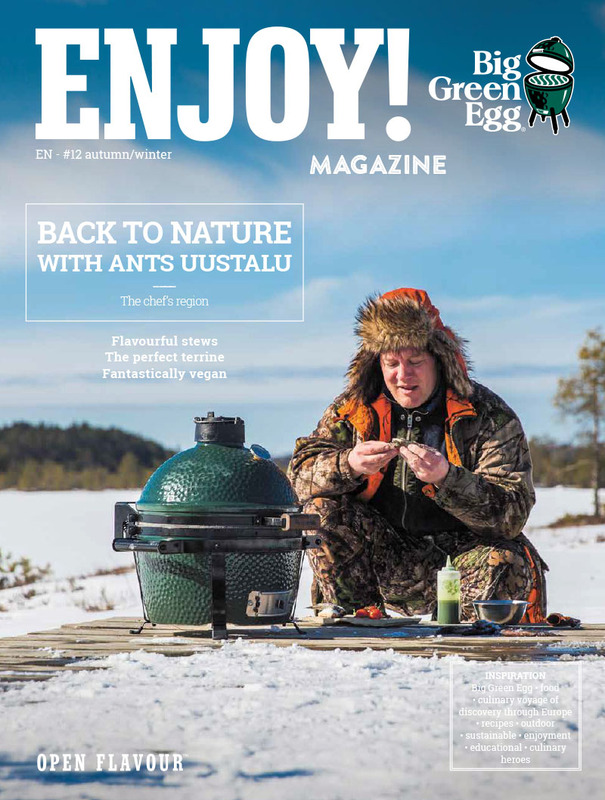 Magazine, Ants Uustalu brings the taste of Estonia into your home. 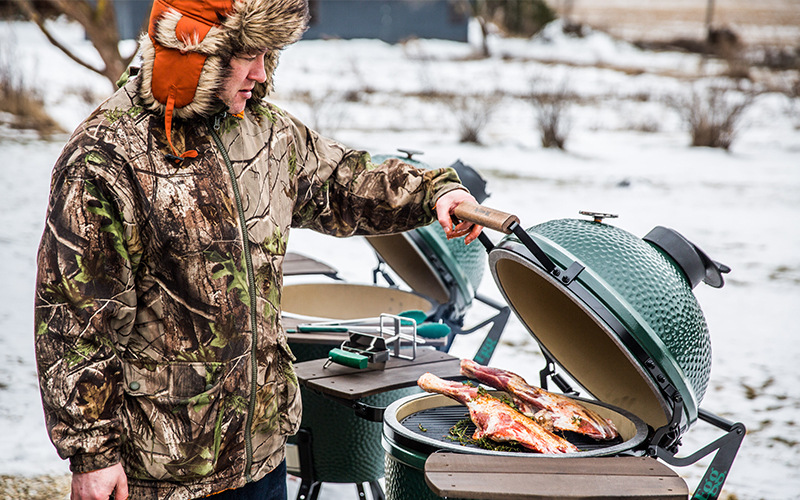 This chef will take you out on an adventure and show you what he made with the ingredients he scored, so that you can prepare these Big Green Egg recipes yourself. Also, have you always wanted to make the perfect terrine? Karen Torosyan, world pâté en croûte (a terrine in a dough crust) champion, will explain how, step by step. But wait! We have more to show you. With our colourful mini-burgers, you will completely steal the show. And if you would like to improve your smoking skills, be sure to check out the complete Big Green Egg menu, which uses a smoking technique in the preparation of each course. Or: read how food freak Maurice smoked a juicy rib eye steak on hay. Also, if you’re looking for delicious stews or vegan recipes to prepare on your EGG, then this issue of Enjoy! is a must-have!